Idaho wine growers have good reason to say "cheers" these days. According to research from Stonebridge Research Group, the number of wine cases bottled in 2013 increased 76 percent from the previous year. In 2013, Idaho vintners produced 234,000 cases in 2013 up from 179,000 in 2012. The Idaho Wine Commission paid for the study. The number of Idaho wineries has also grown. In 2002 there were 11 wineries in the state, now there are 51. 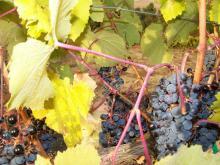 Idaho's wine production has increased by 76 percent between 2012 and 2013. In a press release, Idaho Department of Commerce director Jeff Sayer touts the expanding industry. 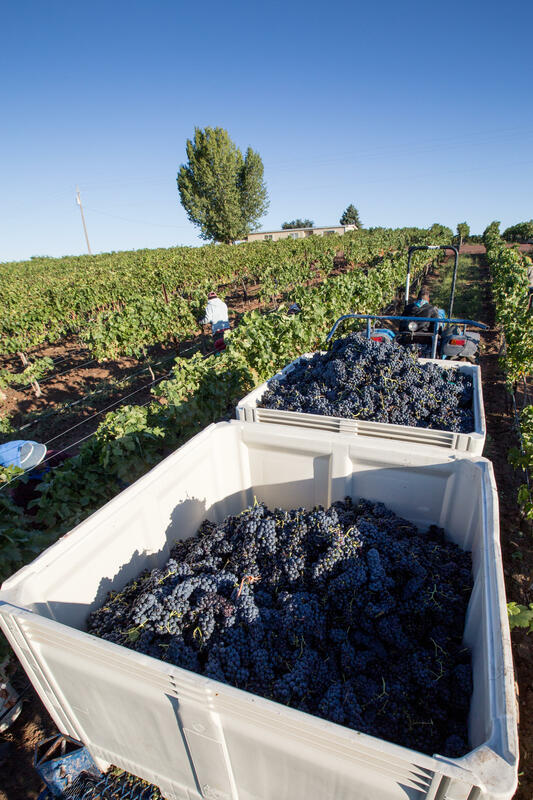 "The fact that the wine industry brought nearly $170 million to Idaho's economy is a testament to the hard work of our local winemakers and wineries," Sayer says. The Idaho Wine Commission reports more than 1,200 fulltime jobs were filled in the wine business during 2013. The commission also keeps tabs on awards given to winemakers in the state, and notes Idaho's climate and soil as key ingredients. But compared to other states steeped in the wine world, how does Idaho stack up? Oregon's prowess in the wine industry is well-known. In 2010 Oregon bottled 1.75 million cases of wine, dwarfing Idaho's 2013 numbers. Harvey Steiman is an editor for Wine Spectator magazine, covering the industry in Washington and Oregon. He says he's tasted a number of Idaho wines, but nothing that's grabbed his attention yet. "Any new region -- and both Oregon and Washington went through this too a few decades ago -- any new region has to demonstrate that it has something special that people should pay attention to," says Steiman. "It can't just make a bunch of pretty good wine; that's OK if you want to sell it at the corner store in Boise or Pocatello, but it's not going to make people pay attention in Seattle or Portland or San Francisco or Las Vegas." Steiman says part of that distinct character comes with time, and since Idaho's industry is still young it could just be a matter of waiting to see unique wine characteristics emerge. "It takes a while for a vine to show what kind of character it's going to produce vintage after vintage," he says. "And generally speaking you're talking about 8-15 years minimum before you really know what a vineyard is like." But Steiman says the increase in Idaho wine production is significant, and he's hopeful to come across an Idaho vintage that will make him take notice. Just in time for the holiday weekend, the U.S. Census Bureau confirmed Idaho's love of beer. New data show a national surge in breweries between 2007-2012, with the number more than doubling from 398 to 869. New jobs were created in the industry despite the Great Recession, and shipments of the cold brews climbed more than 33 percent in the five-year span. The executive director of the Idaho Wine Commission says the state is getting national attention for its wines. Moya Dolsby credits a $400,000 annual budget funded through the state liquor tax and wine industry assessment as well as enthusiastic supporters. Dolsby tells the Lewiston Tribune that she no longer has to beg restaurants and retailers to try Idaho wines. The state's wine industry has grown from a single commercial winery in 1976 to 50 today. Many of the distinct wine grape growing regions in the Northwest are celebrating 30 years since the federal government recognized them as appellations -- or distinct growing areas. GMO Potatoes Have Arrived. But Will Anyone Buy Them? On the face of it, the new potato varieties called "Innate" seem attractive. If you peel the brown skin off their white flesh, you won't find many unsightly black spots. And when you fry them, you'll probably get a much smaller dose of a potentially harmful chemical. 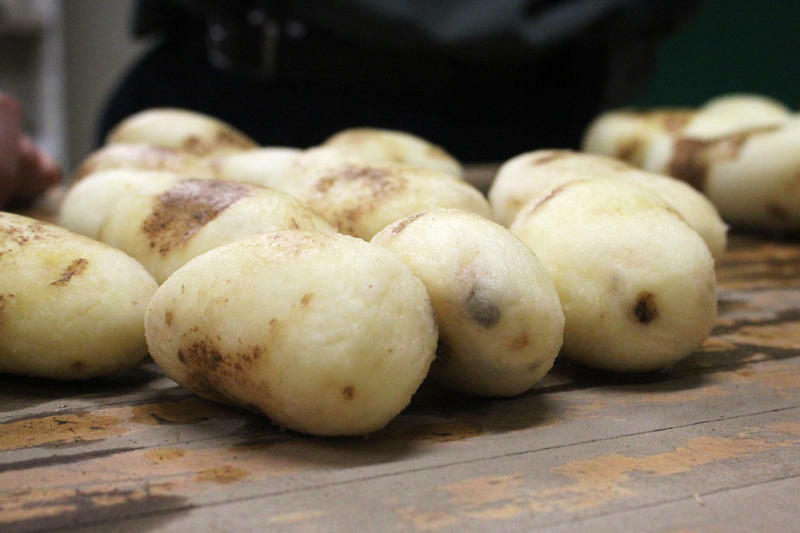 But here's the catch: Some of the biggest potato buyers in the country, such as Frito-Lay and McDonald's, seem afraid to touch these potatoes. Others don't even want to talk about them because they are genetically modified organisms, or GMOs.